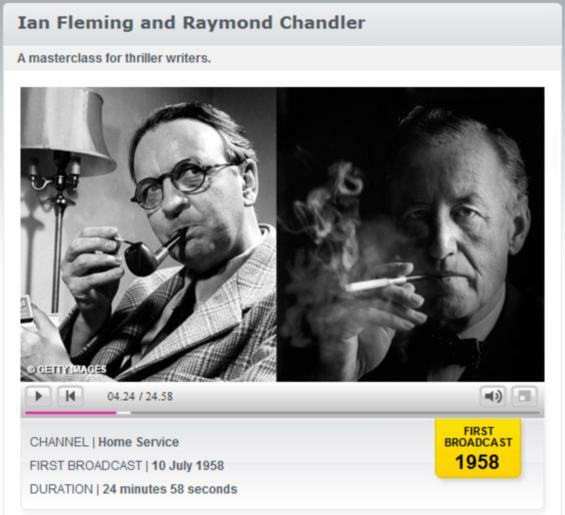 There’s a fascinating conversation between Raymond Chandler and Ian Fleming available over on BBC Archives. It was first broadcast on the BBC “Third Program” on July 10th, 1958. In it the two famed authors, and friends, discuss each others novels in depth. 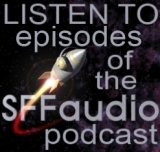 But before you head on over there, consider this |MP3| first. It is a repeat broadcast, from 1988, that includes an informative introduction that the BBC Archives version lacks. Fleming and Chandler talk about protagonists James Bond and Philip Marlowe in this conversation between two masters of their genre. They discuss heroes and villains, the relationship between author and character and the differences between the English and American thriller. Fleming contrasts the domestic ‘tea and muffins’ school of detective story with the American private eye tradition and Chandler guides Fleming through the modus operandi of a mafia hit while marvelling at the speed with which his fellow author turns out the latest Bond adventure.